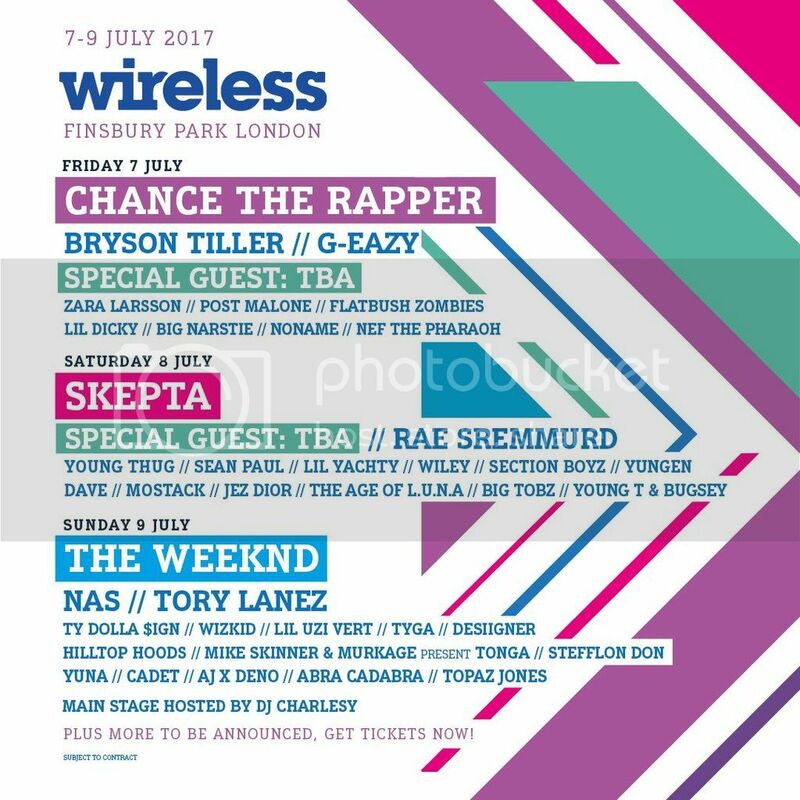 Chance The Rapper, Skepta, and The Weeknd are the first confirmed headliners for this year's Wireless Festival, which takes place at London's Finsbury Park between July 7th and 9th. Joining the party will also be Rae Sremmund, Young Thug, Sean Paul, G-Eazy, Lil Yachty, Flatbush Zombies, Ty Dolla $ign and Tyga. You can check all the announced names on the official line-up below. Tickets are now available and can be purchased via the festival's website, where you can also get all the info you need.